Learn about the ten steps to Living the Three Principles of Abundance. Learn the Seven Covenants of Virtuous Philanthropy. Read this article by Margaret May, in the November/December 2012 issue of Advancing Philanthropy magazine, “Start with ‘Why’“. Read this article by Margaret May, “Women Give from the Heart on Valentines Day…and Year Round“, published February 14, 2012 on NonprofitCommunity.com. Read this article by Margaret May, “The Pull of the Purse“, published in the October 2011 issue of Planned Giving Today. Read this article, “Author Margaret May Damen aims to inspire women to become philanthropists” by Dian Vujovich. Read this article based on Margaret’s“Pebbles in the Pond” keynote speech given at the International Conference of Sigma Alpha Iota National Music Fraternity, August 2, 2009 in Chicago, IL. Read this article by Margaret, “Women as Philanthropists: Gender and Generational Synergy for Effective Gift Planning” printed in The Journal of Gift Planning, Volume 11, Number 4, 4th Quarter 2007. Read this article by Margaret, “How Boom-Generation Women Will Rewrite the Rules of Philanthropy,” which first appeared in the January 2006 “Planned Giving Pulse” e-newsletter. Read this article by Margaret, “This year is the bicentennial celebration of Margaret Fuller” posted on the National Association of Baby Boomer Women’s website, 2010. Read this newsletter by Margaret, The Torch, 2009 which she authored for the Institute for Women and Wealth. Read this newsletter by Margaret, The Torch, 2008 which she authored for the Institute for Women and Wealth. Read this newsletter by Margaret, The Torch, 2007 which she authored for the Institute for Women and Wealth. 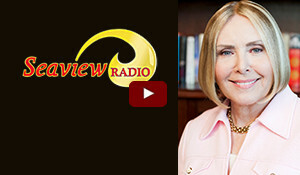 An interview with Margaret May by Jo Ann Pflug of Seaview Radio (audio only). An interview with Margaret May at the Growing Philanthropy Summit. Visit YouTube and Vimeo for more of Margaret’s inspirational videos. Established by Margaret May in 2000,The Institute for Women and Wealthtranscends traditional estate planning methods and empowers women to resolve many of the psychological barriers that inhibit the success of family legacy and philanthropic giving issues. The National Association of Baby Boomer Women is the only association devoted to addressing issues concerning 38 million of the healthiest, wealthiest, and best-educated generation of women to ever hit midlife: baby boomer women. The Association of Fundraising Professionals (AFP) represents 30,000 members in 212 chapters throughout the world, working to advance philanthropy through advocacy, research, education and certification programs. The online, self improvement community. Connecting spirited women everywhere. A community where your passion connects you to the world. The Sudden Money Institue helps individuals and financial advisors focus on the integration of the personal experience with the facts and figures. Margaret is a member of AEI Speakers Bureau, which is a full-service speakers bureau that specializes in organizing professional speaking engagements, podium events, and more. The 21/64 website helps us learn how to engage the next generation in the philanthropic community. EnlightenNext is dedicated to catalyzing evolution in consciousness and culture. The Center for Philanthropy at Indiana University’s programs and initiatives provide nonprofits, donors and scholars with the resources they need to make a difference in philanthropy. The International Association of Advisors in Philanthropy is a not for profit membership organization that builds philanthropic capacity through collaborative programs and projects which unite financial advisors, charitable organizations, foundations, donors, and wealth planners in a common goal. The Chronicle of Philanthropy connects the nonprofit world with news, jobs, and ideas. This book, Donor-Centered Planned Gift Marketing by Michael J. Rosen, CFRE, President of ML Innovations and one of Margaret’s colleagues, is a fresh step-by-step guide for identifying your nonprofit’s planned giving prospects and inspiring them to give generously. NonprofitCommunity.com is a community site by and for nonprofit professionals. It is full of free resources, news, ideas, learning opportunities and an open forum where anyone can ask questions, give advice, and provide feedback.